The Chicory is out everywhere now. Such a wonderful blossom. Great to see the blues mixed with all the other late spring wildflowers. Many thanks to everyone for the wonderful comments on yesterday's daily; you guys are the best :) Have a fantastic Friday everyone! What a beautiful tone of blue! This is so pretty, so delicate. 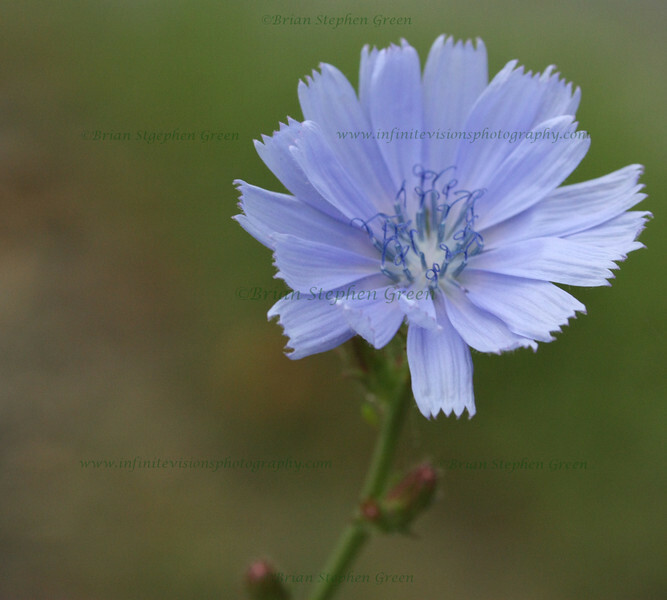 What a gorgeous close-up -- I love chicory -- the color is exquisite. Love the soft blue.Nice background too. love the little curly things in the middle! beautiful light and soft colors. Wow, very cute and soft blue color! Love the light and composition. Outstanding shot!